(Newser) – A magnitude 7.7 earthquake struck today in southwestern Pakistan, collapsing more than two dozen houses, and sending people fleeing into the streets and praying for their lives, officials said. At least two people died, according to the AP, but Pakistan's The Dawn puts the figure at 10, and Twitter reports have it as high as 30. Rescue teams have been dispatched to the villages in Awaran district where the quake struck. 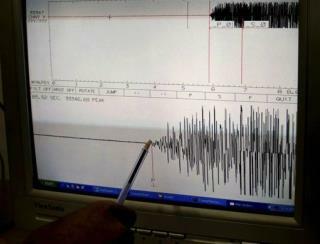 The quake hit in the southern part of Baluchistan province, said Pakistan's chief meteorologist. For the religious, instead of Allah, it's the Christian God trying to tell them something. But for me, it's just a natural occurrence.